Ryan Murphy’s “American Horror Story” has touched on everything from cults, freak shows, asylums and now the anti-Christ. But “Apocalypse” star Leslie Grossman, who plays the hilarious Coco St. Pierre Vanderbilt in the new season, has her own terrifying idea for a future season to explore. Grossman acknowledged that the show touched on some angles of serial killers in last season’s “Cult” with Charles Manson, but that the strength of a show like “AHS” is that the show has so many layers to be unpacked and directions it can take. Part of the appeal of this latest season is the return of so many characters from previous seasons, and Grossman says “Apocalypse” has much more to offer in this regard. 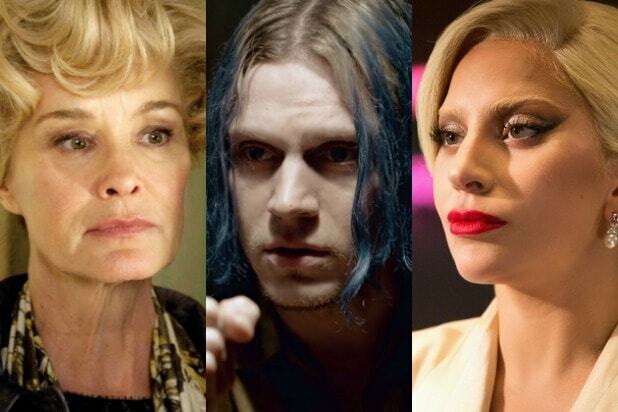 So will we see Grossman’s nightmare of a serial killer “AHS” in a future season? Maybe if she brings it up to Ryan Murphy. “I’m sure he’s dying to hear my pitches,” Grossman joked. “AHS: Apocalypse” is on Wednesdays at 10 p.m. on FX.